If 2015 was one of Martin’s Lights busiest years ever, then 2016 is lining up to be even more so, with more gigs and tours already done by the end of July than were done in all of 2015! Here’s a brief summary of what we’ve done so far this year. Click on any photo to see it full size. January & February – one-off shows with Gilbert O’Sullivan at St. Peter’s Cathedral in Dublin and at the Mermaid Theatre in London (with the BBC Concert Orchestra for Radio 2’s “Friday Night Is Music Night”) and a run of nine shows around the UK (lighting design and equipment supply). 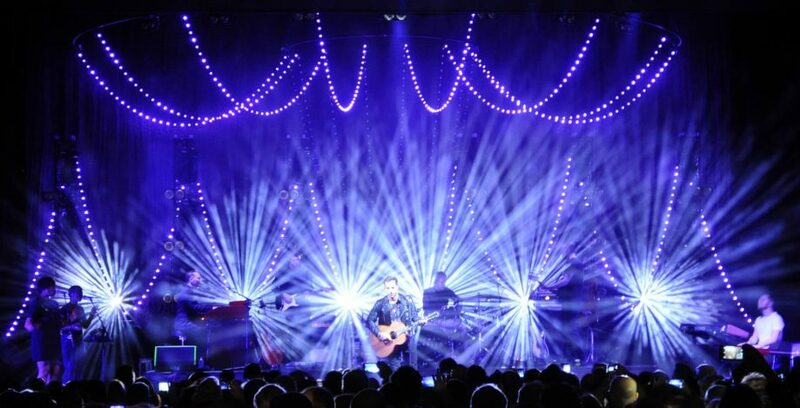 March & April – lighting direction, programming and desk operator services to James Morrison’s lighting designer Cate Carter of Bryte Design for a 13-show full production tour of the UK & Ireland (with lighting equipment and crew from Neg Earth) and 12-show European tour carrying an extensive floor lighting package. 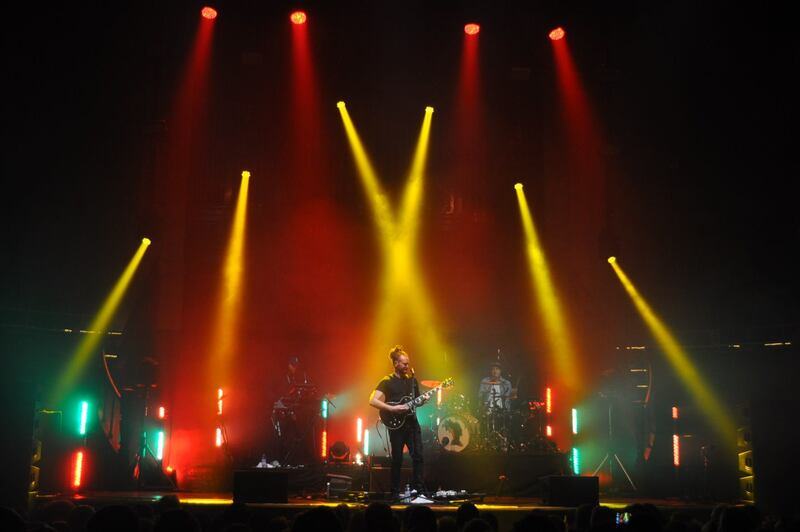 March & April – Newton Faulkner UK tour (lighting design & equipment supply, lighting director Gareth Dean). May to July (and ongoing) – James Morrison festival shows in the UK, Switzerland, Germany, Netherlands, Italy, Spain, Denmark and Iceland. June – Mercury Rev UK tour, finishing at Glastonbury Festival (lighting design and equipment supply). June to July – Newton Faulkner festival shows at Glastonbury, Lusty Glaze and Cornbury (lighting design and lighting console supply). July – Kula Shaker festival shows in Spain, Italy, Japan, South Korea and Taiwan (lighting design and lighting console supply). As well as these ongoing and regular client artists, Martin’s Lights has also lit one-off shows and other events for Shiplake College, Chichester University Students’ Union, Marc Almond, Arquiva and University College London (Business), and supplied equipment to The Cult and AIR.